1. Attend a college that abolished tuition: Say what? Since its founding in 1855 Berea College has helped students who couldn’t afford a high quality college education. Then, in 1892, Berea abolished tuition altogether. In addition to providing a tuition promise scholarship to all 1,600 students, Berea College pays its students to work for the College in more than 120 labor departments, working on everything from basic services (food service and housekeeping), to highly skilled work assignments (such as building computers, accounting, and teaching assistants). As a result, students can graduate from Berea debt free. Of those who acquire debt, the average debt upon graduation is about $6,000, usually related to costs for studying abroad that exceed the subsidies Berea provides for international travel and study. 2. Attend a community college: Community colleges are a great route to go if one is looking to save money while also getting a quality education. This can reduce a lot of debt those first two years of college. If you do attend a community college, be sure to choose one that has a 2+2 program with the four-year institution to which you would like to transfer, or one that offers transfer scholarships for strong GPAs, says Debbie Campbell, Vice Dean of Temple University’s Fox School of Business. 4. Choose colleges engaged in corporate partnerships: There are tremendous financial benefits and savings to students that enroll at a college with a well-designed and formal corporate partnership in place, says Stephens. Corporate partnerships aid students by enabling them to gain valuable work experience through internships, externships, and full and part-time work. If a student has the great fortune of securing a full-time position with a corporate partner that offers tuition reimbursement, that student could essentially complete a college degree debt-free with a bit of savings in the bank to boot, says Stephens. 6. Don’t attend an expensive college unless it’s necessary: If a student is sure of college, but has no clue what major they want to pursue, consider a state university or community college for their first year or two. Then, with a major clearly in mind, go to that prestigious college to earn that Bachelor’s degree. Either way, always research less expensive options. 7. Find a part-time job that offers tuition reimbursement: There are numerous companies who provide tuition reimbursement for part-time employees. And many more who provide additional tuition for full-time employees. 8. Join an AmeriCorps program: If you take a gap year, consider AmeriCorps, a civil service program supported by the U.S. federal government that engages adults in public service work with a goal of helping others and meeting critical needs in the community. Serve for a year and besides doing good work, boosting your educational resume, you can earn educational awards for college. City Year is one example of a large AmeriCorps program, but there are many programs across the country that meet various community needs, and that offer educational awards to students who complete their year of service. 9. Live at home: We get it. It’s not cool to live at home when you are 18-23 years old. And it can be especially difficult to see the benefits of living at home when friends are hanging out in their dorm or apartment with other college students, living the college life. But guess what? It’s not cool to live at home when you are 30 years old because your student debt load is so much, you can’t afford to live on your own. 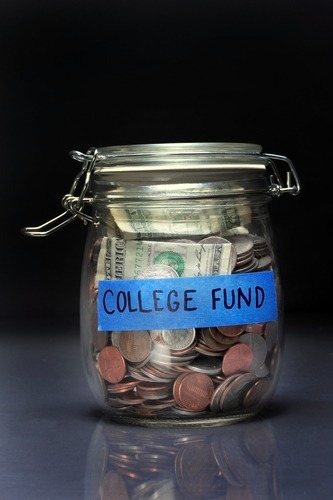 Living at home can help you save thousands over the course of a college career. Nothing uncool about that. 10. Live with roommates: Live with other students in an affordable apartment and share the costs. Some have even done house sitting or been a resident superintendent in an apartment building to get cut-rate or free housing. Also consider working as a resident advisor in the dorms at the college you attend, if it’s an option. 12. Search for scholarships: Apply to as many as possible. FastWeb.com is a great database that lists a large number of scholarships. But don’t think you can only get scholarships before you start college. There are many available for current college students. Work closely with your college career services center for help searching for colleges, and connect with professors in your major to see if they are aware of additional scholarship resources. “Apply for all of them, not just the ones that offer big awards,” says Campbell. 13. Serve your country: Military tuition assistance is a benefit paid to eligible members of the Army, Navy, Marines, Air Force, and Coast Guard. You can earn your degree while serving your country. After your service there are veteran educational benefits. 14. Take a long-term view: Avoid the pressure to graduate in four years if it helps reduce debt load. Reduce your course load and work at the same time. The work experience will look good on your resume, especially if it applies to a career track associated with your major. Getting a marketable degree debt free in six years will give you incredible career flexibility as compared to rushing to graduate in four years with high levels of debt and a marginal degree. 15. Test out of courses using exams and online courses: Complete alternative credit exams or online courses to cover the first two years of college, says Adrian Ridner, CEO and Co-founder of Study.com, an education website where over 25 million students a month study and earn college credit. Every undergrad has to take general education courses their first two years of college before they start upper division courses. Tests like the College Level Examination Program (CLEP) and Advanced Placement (AP) allow students to gain college credit by passing exams that prove subject mastery in these courses. AP is usually free for high school students (both the courses and exam), and CLEP is only $80 per test. If students need extra help mastering a general education course, education sites, like Study.com, let you earn college credit by taking general education courses online and transferring credit to one of over 2,000 colleges and universities—for thousands less than the cost of traditional school. “Taking advantage of either exams for credit or online courses can help you get credit for general education courses and save money on tuition,” says Ridner. 16. Work as much possible during the summer months: Consider working two or three jobs, as much as one can without burnout and mental and physical overload, to make extra money in the summer months. It’s hard – very hard, but it could pay off by the time you graduate. College is expensive. But it doesn’t mean every college graduate has to be saddled with large student debt loads. Apply these strategies to accomplish the goal of graduating debt free. It won’t be easy – but it can be done. Want additional strategies on how to pay for college? Stay connected! Start by registering with College Recruiter to have job alerts emailed to you. Then visit our blog, and connect with us on LinkedIn, Twitter, Facebook, and YouTube.